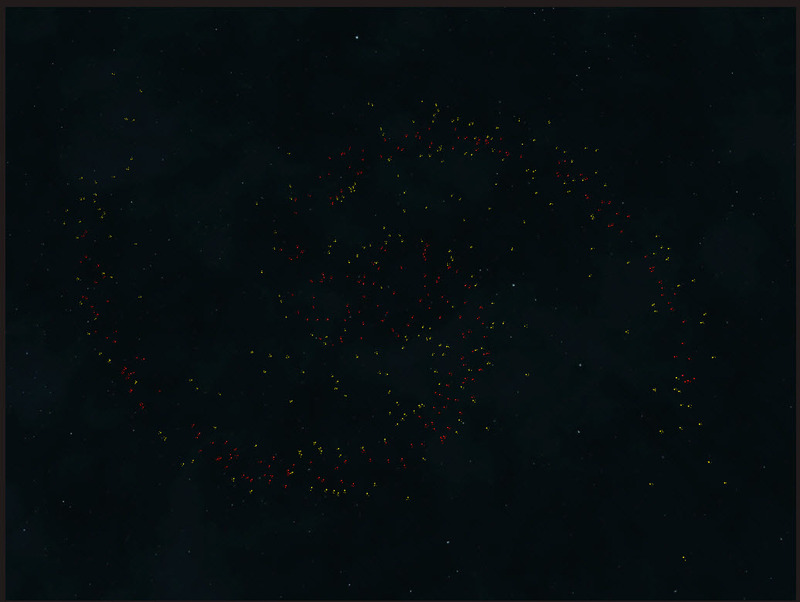 I'm only showing the insane level of stars so that you can see the generations more clearly on the galaxy screen. 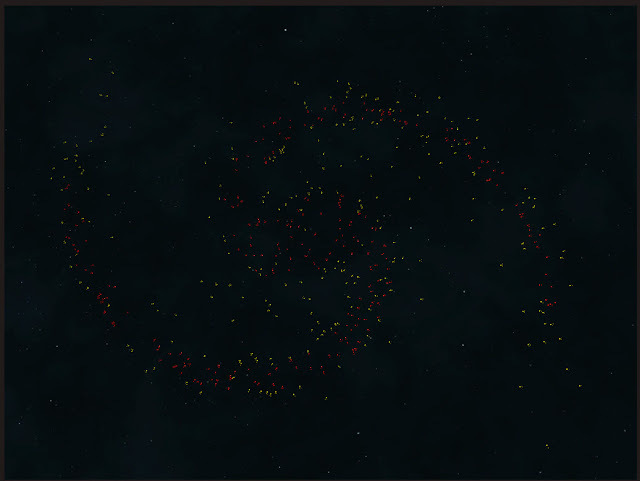 This is a temporary view showing the entire galaxy. In a final game version, the player will be able to see slightly elevated view that is largely edge on. 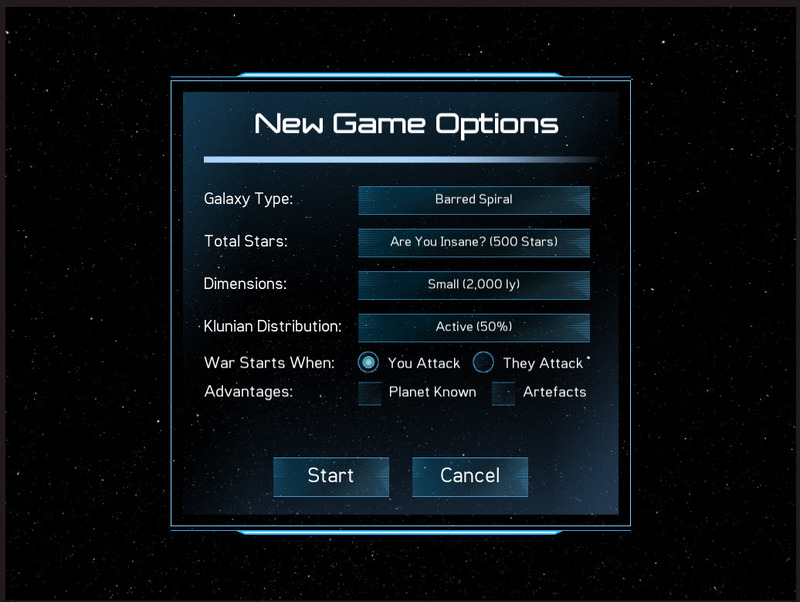 The final galaxy will also have nebula, which the player will need to avoid when travelling faster than light. 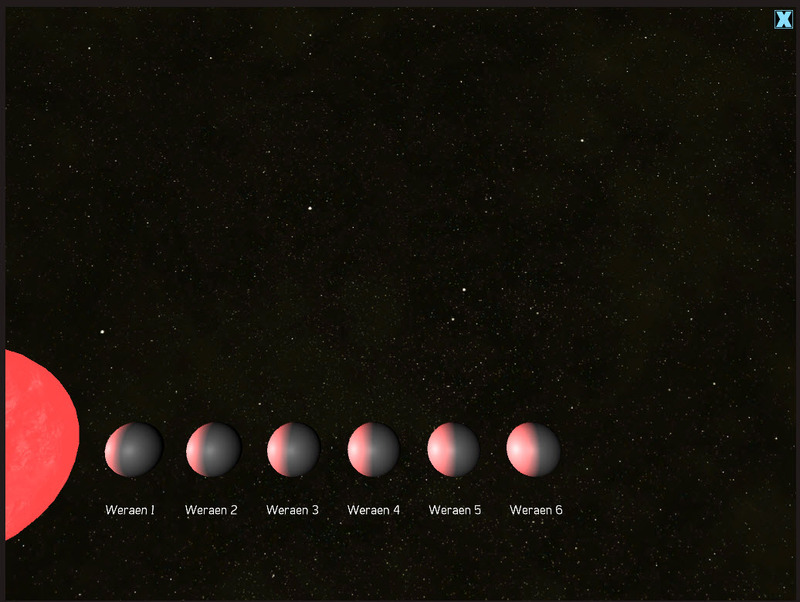 This is another temporary view of a solar system, showing just the star and the planets. In an completed view, there would be pictures of the planets or at least icons of the different planet types, as well as an asteroid field. For the purposes of the prototype, this simply provides an interface to the planets that are generated for this star. This is a more complete planet view. 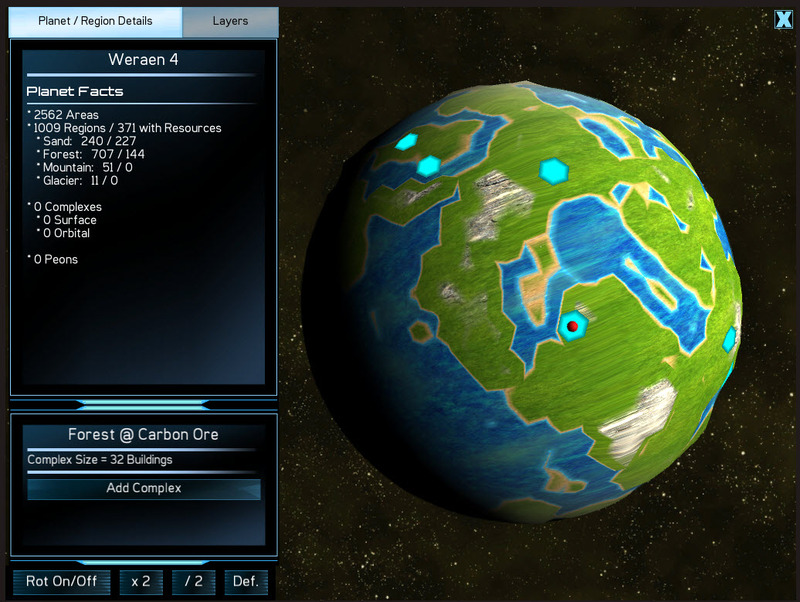 Planets are randomly generated based on a seed, and are rendered in real time before being displayed. Without the generation, a planet would require 45Kb to store instead of a 4-byte seed. The view shows a tabbed interface allowing the player to see the GIS view which has an overlay for complexes and mineral deposits. 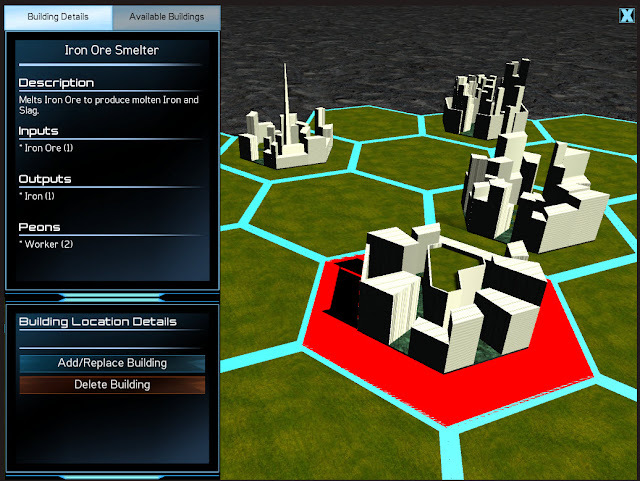 In the future version, you will also see transports running between complexes. Finally the Complex View, this is on the surface with a complex exposed. Complexes an have 8 to 128 hexagons, and the layout, like everything else in the game is random. Randomization allows the complexes to have slightly different shapes, but largely it's to save storage ... a 128 point complex would need 1024 bytes to store, where as a see requires only 4-bytes to store. 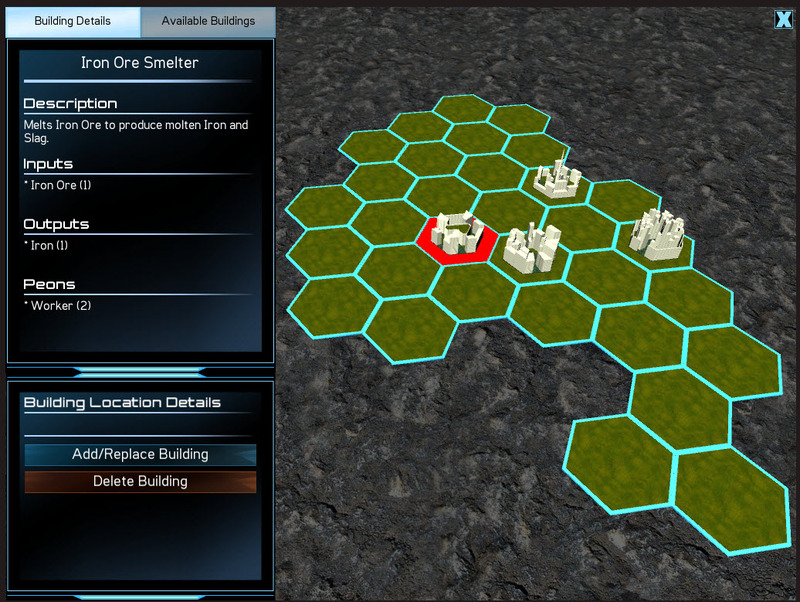 Recent changes allow the player to zoom down, and rotate and look at the complex in finer detail.